Eye Love Wednesday - Maybelline Sapphire Stylist Eye Studio Quad swatches and Contest! If you've been in Shoppers lately you've probably noticed that the fall Maybelline collection is out and is all kinds of purty! Being a blue eyeshadow whore, this is my particular fave from the collection, Eye Studio Quad in Sapphire Stylist. You can see from the swatches that it has good pigmentation and the gold and silver have some nice shine! Since we like to share the love, we thought you might enjoy owning a bunch of the collection for your very own! 1 entry for following and leaving a comment answering the question - What is your favourite Maybelline product - if you don't have one, which would you most like to try? Please also leave your e-mail so we can find you if you win! If you prefer not to leave your info on a public post, please leave a post saying you want to enter and then e-mail your info to info@beautycrazed.ca, please put "Maybelline Contest" in the subject line. Remember to leave a post or you name won't actually end up in the draw! Winner to be decided by random drawing and you have until November 11th to enter. Good Luck! I would love to try the Eye Studio Quads! I'd love to try the gel eyeliners and the eyeshadoq quads! My fav product is their moisture extreme lipcolour in Chestnut (I'm pretty sure it's discontinued now though). My favourite Maybelline product is the Falsies mascara. I love the volume it adds to my lashes! I have loads of fave Maybelline products. If I had to choose one, it would probably be one of the Hydra/Moisture Extreme lipsticks, they are so moisturizing and such a nice wear on the lips (not overly sticky but doesn't disappear in a second)... especially the colors Sweet Nectarine and Strawberry Cream :). But I love the Shinylicious Fruity Glosses, too (especially Berry Punch-a great berry red for giving my lips a red tint). I love the colour sensational lipsticks! Soooo pretty. I love the One by One mascara! Favorite Maybelline product: Pure Makeup Foundation. I believe it's discontinued though. It's the only foundation I've ever found to actually match my pale/fair skin. Maybelline has become one of my Favorite makeup brand this year since there are many good staff in a very good price. I use affinitone 24h. eye pencils, eye shadow, Concealer & polishes. my Favorite Product is COLOR SENSATIONAL lipstick. I have 4 but I like 413 - coral peach the most. I love your blog and enjoy reading it. It is allways on my blog sidebar. I sent u my e.mail adress via e-mail. I'm a follwer, you always have the best contests! I don't have a favourite Maybelline product yet... but I'm interested in their gel eyeliners! I'm a GFC follower, my email is hermano (dot) buster (dot) bluth (at) gmail (dot) com. My favorite maybelline product is the black gel eye liner its so worth the $8 it costs me here and stays on alllll day long. I would love to try the Eye Studio Quads. 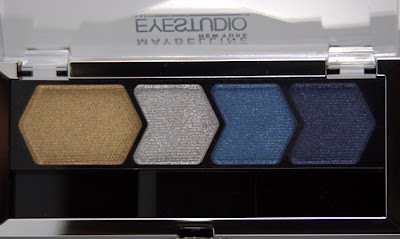 I don't have a favourite Maybelline product because they are very expensive here in New Zealand (I rather purchase 3-4 NYX 10colour eyeshadows than to purchase one of those)... but I would really want to try those quads... they look very interesting. Hello, thank you for these beautiful prizes! -i want to try Press Worthy pink blush. -fav product from Maybelline is the pressed face powder. I have always loved Maybelline's products, but I would say that right now, my favorite is probably the original Great Lash mascara. Yes, I know, most people hate it, but it has always worked wonders for my lashes so I have no problem with that! I am dying to try these gel liners but can't seem to manage to buy them yet; the Forest shade is so beautiful and since it's LE, it will probably be gone before I get the extra bucks to buy it. Such is my luck! Thank you for giving us the chance to win these. I subscribe and would really like to try the Blush in Pressworthy Pink! I would love to try the Eye Studio Quad in Makeover Mocha and Pressworthy Pink Blush, it looks like such a pretty color! my fav maybelline product is their colossal mascara.. i'm on my 3rd tube of it! amazing mascara at a drug store price! My favourite product from Maybelline is The Colossal Volume Express 100% Black. My favorite Maybelline product is the Fruity Jelly Lip Gloss. I'm already a follower of your blog. My email is gwendelcarmen at gmail dot com. My favourite Maybelline products are Define-a-Lash mascara and Define-a-Brow brow pencil! Love getting the subscription emails! Love your blog! I'd love to try the Eye Studo Lasting Drama Gel Eyeliner! I've heard great things about their gel liners and lipsticks, but haven't tried either! My favorite Maybelline product is the Volum' Express One By One Mascara. It's a great product! I'm a follower and Maybelline has really upped the quality of their eyeshadows. My fav Maybelline product is my eyeshadow quad called Sapphire Ice. My fav Maybelline product is the Dream Matte Mousse foundation. I love Maybelline! I'd love to try their Color Sensational Lipstick Line esp the Angel Rose. My fave Maybelline product is the Colossal Volume Express Mascara!! LOVE! Just followed on FB (Danielle Elise) MY fave Maybelling product has to be Great Lash mascara. There's a reason it's been the #1 mascara for years now! My favorite Maybelline product is their Dream Matte Powder. Love it! I have repurchased so many times. My favourite Maybelline product right now is the Eyestudio in alluring almond. I will email you my address. I really like the Maybelline Dream Mousse blush in Peach Satin. Would like to join via email please. :) Thanks very much! My favorite product is Great Lash Mascara. Just can't leave the house without it! I follow on facebook. I just love the Maybelline Dream Mousse blush in Peach Satin. Great product like all the rest of yours. My fave Maybelline product is the Great Lash mascara. It never lets me down and never clumps! I also follow you and Maybelline on Twitter and tweeted the contest and a fan of Maybelline-Canada on Facebook. I follow the blog, twitter and facebook page for beautycrazed! I also tweeted the contest on your twitter account. I "liked" Maybellines page and tweeted the contest for them also. My favourite Maybelling product is the dream smooth mousse foundation. Already a follower...would love to try the eye shadow quad.....please enter me! I found my perfect fit with Fit Me foundation. Love! I would love to try the Maybelline Eye Studio Quad in Green With Fashion! My favorite maybelinne product is "Great Lashes"
i really want to try the eyeliner gel because is heard that is great. i'm a follower by GFC as A.M.S. I love the Colour Sensational High Shine lipsticks they are so soft and nice to wear. - i love the mascara - it's thick and easy to wear and most of all it does not crumble. I don't have a favourite Maybelline product, but I would love to try the Eye Studo Lasting Drama Gel Eyeliner. I'm LOOOVE to try the gel eyeliners, the colors sound gorgeous! I'm a follower and you can contact me at clickandflashh @ gmail.com. My fav Maybelline product it`s the Maybelline Loose Mineral Foundation. I'd like to try Gel Eyeliner. Following via GFC as mandyzhou. Favourite Maybelline product is their mascara! Twitted on twitter with the name shoependant. I'd try any of them : I love maybellin and my favorite is a color quad from a couple of years ago,haven't tried any of these yet ! I follow via GFC as Anastasia. My favourite product from Maybelline is The Colossal Volume Express Mascara. I'd love to try the Natural Beauty nail color! I use maybelline superstay lip colour...love it! I'm a follower...thanks! I love the Maybelline eyeshadow quads...they're awesome! I emailed you my info already. My fave is Maybelline Great Lash mascara, naturally. I tweeted the contest message. I shall email you my details. I am interested in trying the gel eyeliner. Favourite product is Great Lash mascara in blackish brown. I love the Maybelline Colosal Mascara and I would like to try the gel eyeliner. My favorite Maybelline product is my mousse concealer. 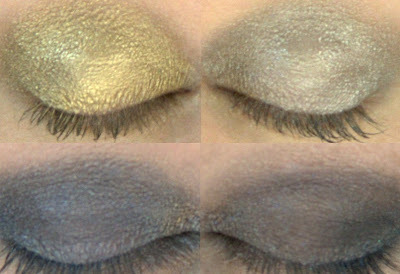 I follow with gfc,networked bogs and facebook and I would like to try the Eye Studio Quad in Makeover Mocha. I want to try the dream mousse blush - keep hearing good things about it! I am in LOVE with the EyeStudio gel eyeliners! They are so amazing. i lurve all maybelline's eyeliners! i think i hate all of them! current hg eyeliner is the hypersharp liner! I really like their mascara and nail polish! I would love to try the Eye Shadow in Makeover Mocha. My favourite maybelline product is the Maybelline Lash Stilleto Mascara. my fave products are the mascaras! My favorite product is the mascara Great Lash. My favorite Maybelline product is the Magnum Volum express mascara! My favourite Maybelline product is the Expertwear Eyeshadow & the Line Express Eyeliner. I am a follower on GFC, I like Maybelline on FB, and I am following @Maybelline and @Beautycrazedcan on Twitter. I've also posted info about the contest on GFC and on twitter. I'd love to try the Great Lash mascara. You have beautiful contests. I have used the Maybelline Newyork Express Finish nail color. Its my favorite one. I wanna try the colossal mascara. I follow @Maybelline and @Beautycrazedcan on twitter and have tweeted about the contest. Would like to enter please!!! My Maybelline favourite product is the Dream Satin liquid foundation! my favorite Maybelline product is the One by One mascara :) I LOVE IT! My favorite Maybelline item is their Color Sensational lip sticks. My favourite Maybelline product is Maybelline - Volum' Express Lift-up. My favorite Maybelline product is their One by One mascara. I use it everyday and I adore it! I would love to try the gel eyeliner! But hands down, maybelline falsies mascara is my favourite product made by them! Id most like to try the gel eyeliner. My favorite Maybelline product is their BB Cream! I use it whenever I go out under the sun! A few years ago Maybelline had these awesome sparkly nail polishes, I couldn't get enough! I haven't tried anything lately but that eyeshadow quad looks gorgeous. My fav product is the gel liner. very versatile and the brush that comes with it is perfect! Follow Maybelline on twitter and tweeted about the contest, I like Maybelline on Facebook too. Fall into a great big bunch of makeup! Contest! Rouge Dior - Or Etoile and Versailles swatches! Dior Vernis - Apparat and Or Divin swatches! LUSH has some scarily great stuff for Halloween! Dior charity auction starts today! Test Driving Tints of Nature Hair Colour! Contests? Have we got contests! OPI and Essie help nail breast cancer! Essie wants you to win a Brand New Bag! Nicole by OPI - Kardashian Kolors are koming!